We are pleased to announce that on Monday, October 23rd, GE Company Polska Sp. z o.o. received the Polish Intelligent Development Award 2017. We got the award in the Innovative Company category, for the design of the compressor for a turboprop engine. This award is an appreciation of the most innovative projects realized within EU and national programmes, that through their innovative investments and solutions, are contributing to Poland’s sustainable development. GE Company Polska Sp. z o.o. 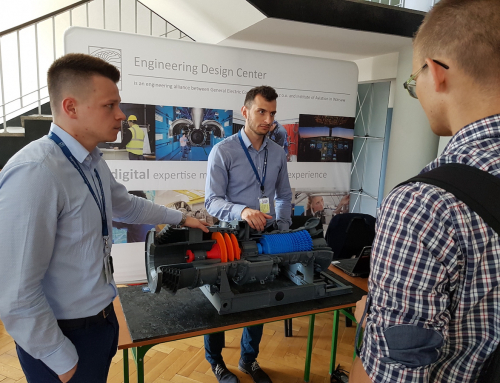 has been appreciated for “developing a prototype compressor with significantly improved technical parameters as the first step to creating a new generation turboprop engine in Poland”. Thanks to this project, the engines will offer up to 15% lower fuel consumption and better power to weight ratio. This will allow to extend the range of the aircraft and shorten the flight time. 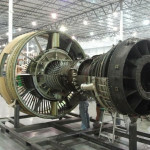 Potential customers will be able to use shorter runways and lower combustion and higher reliability will make the engine more economical to use. The award was received by Marian Lubieniecki, Chairman of the Management Board at the award ceremony Gala during the 2nd Forum of Intelligent Development held on 23-24 October in Rzeszów-Jasionka.